You might recall that our family recently travelled through Northern Ontario. While we were driving along the winding highway I noticed that at certain spots groups of cars were pulled onto the shoulder – people were walking through the bushes at the side of the highway. As I was wondering what in the world the people could possibly risk pulling off the highway for, I noticed that one woman was carrying a bowl. Inside the bowl were wild blueberries. Ah-ha! 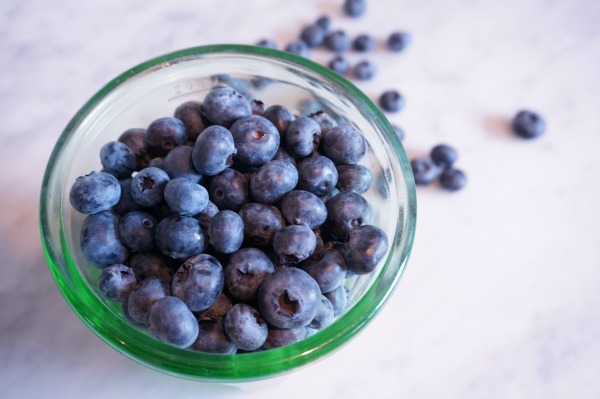 Wild blueberries are like gold…so delicious and fresh tasting. I totally understood these peoples’ passion. 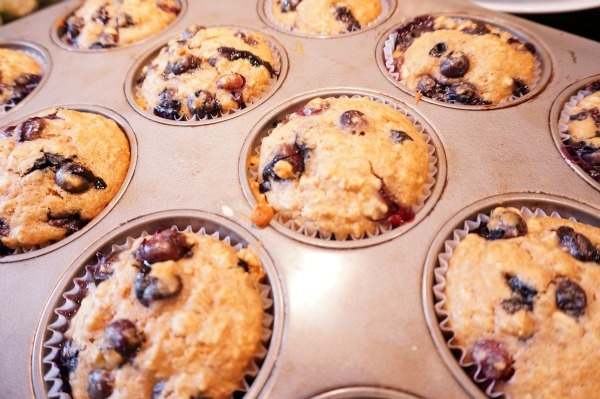 When we got home from our vacation I knew that I had to get some Ontario blueberries and do some baking. 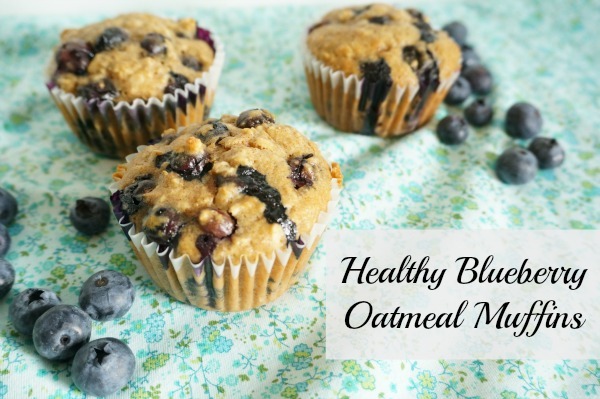 I discovered this healthy blueberry oatmeal muffin recipe on the Life Made Delicious website and I have to say the muffins are fabulous. Easy to make and so tasty. I love indulging in seasonal fruits and I love it when eating healthy tastes so good. 1. Preheat oven to 400F. 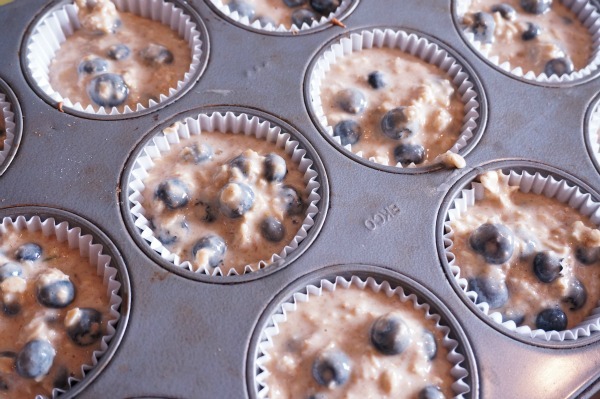 Add paper liners to 12 muffin cup tin or lightly butter muffin tin. 2. Mix buttermilk and oats in a small bowl and set aside to soak. *make your own buttermilk by adding 1tbsp white vinegar to 1 cup milk. 3. In a large bowl combine oil, brown sugar and egg…mix with fork until blended. 4. Add flours, baking soda, cinnamon, salt and stir until moistened. Pour buttermilk and oat mixture to the bowl and stir. Fold in blueberries. 5. Divide batter equally into 12 muffin cups..when I made it I actually ended up with 15 muffins! 6. Bake in a 400F oven for 15 to 20 minutes, or until golden brown. Cool in pan, remove and place on cooling rack. 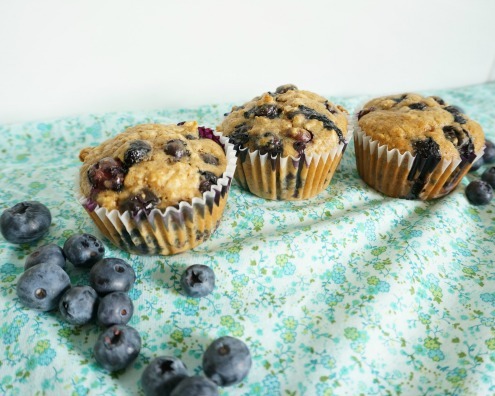 These muffins make a perfect snack to take on the go with the kids. We will also be adding these to our back-to-school breakfast routine. They would make a great addition to any healthy breakfast. How are you enjoying the fruits of the summer season? Disclosure: I am part of the Life Made Delicious blogger program and I receive special perks as a part of my affiliation with this group. The opinions on this blog are my own. Yummy! I pinned this and I’m going to make them today!